6 Best Homeopathic Medicines for Cervical spondylitis and Neck Pain. The vertebral column, also known as the backbone or spine consists of a sequence of vertebrae, a series of bones which is separated and united by an intervertebral disc. The vertebrae and the intervertebral discs together form the vertebral column. The major function of the vertebral column is protection of the spinal cord, which passes down the back through openings in the vertebrae from base of the brain to the end of spine. Vertebral column is a flexible series of vertebral bones that are joined with each other to support the head, neck, and body and allows for their movements. The vertebral column usually consists of 33 vertebrae - 7 cervical vertebrae, 12 thoracic vertebra, 5 lumbar vertebra, 5 sacral vertebra and 4 coccygeal vertebra. The cervical spine consists of seven vertebrae from C1 to C7. These vertebrae start at the bottom of the skull and spread down to the thoracic spine. The cervical vertebra close to the skull is C1 and is the smallest cervical vertebra. As it goes down to C7 get into bigger in size. Likewise all of the cervical vertebrae are smaller than the thoracic vertebrae. Cervical vertebrae C3 , C4, C5, C6 are known as typical vertebrae because have the same basic features with most of the vertebrae throughout the spine. In between the two vertebrae there lies a soft pad like structure called inter vertebral disc which function as a shock absorber like when a person walk, run or jump. The spinal cord is a long, thin, tubular bundle of nervous tissue about 18 inches long runs within the protective spinal canal from the base of the brain to the end of the spine. The spinal cord serves as the transmission path way to rely messages between the brain and the rest of the body. From the spinal cord 31 pairs of spinal nerve are emerged out and named according to where it emerges and passes through the bones in the spinal vertebrae. 8 pairs of cervical spinal nerve emerge from the cervical spine (the neck portion) and those spinal nerves have come out from the spinal cord through the specified holes in the concern vertebra. If that spinal nerve get compressed by any means either by the touching of inter vertebral disc or narrowing of the passing hole it causes pain to those part it supply. Bone spurs - bone spurs or osteophytes are tiny growths on the surface of the bone caused by degeneration of the bony tissues. Injury – any injury to the neck can impact on the spinal disc and spinal nerve. Ligament stiffness - The ligament that connect the spinal bones to each other can become stiffer over time, which affects the neck movement and makes the neck feel tight. Overuse of neck – some occupation that puts extra pressure on the neck portion like repetitive bending and bowing like in construction work that causes wear and tear of neck ligament and put bad impact on the spinal disc. It can be a cause for chronic neck pain. Whiplash – forceful, rapid back-and forth movement of the neck is called whiplash injury generally occurred if suddenly you break your car your head move in a jerk backward and then beat on steering forward. Stiffness in the muscles of the neck and shoulder region. Some patients feel dizziness or vertigo like spinning of head while sitting or working. Homeopathy has a very good scope in treatment of cervical spondylosis. As it is told before that the pain commonly arises from suppression or irritation of the spinal nerves that comes out from spinal cord so the treatment should be targeted how to decompress the nerve portion and to heal the injures nerves. The compressions of nerves are generally caused by the muscles and ligaments present around the area. If any muscles get over stressed that may put extra pressure to the concern spinal nerve and in the course of time there will be pain on that portion. Similarly if there is any pressure effect of the concern ligaments to the spinal nerves that can also causes pain. There are other factors that are also responsible for generating of pain. The development of tiny bony growths over the body of vertebral bones that occurs in the aging process called osteophytes can sometimes irritate the spinal nerves and causes pain. The other reason of neck pain is due to the compression of inte-rvertebral disc to the concern spinal nerve. The disc do compress the spinal nerve in two causes ; 1-either due to the over stress that causes the disc to displace its position from the normal place to forward or back ward side and press the spinal nerve, 2- if the disc’s internal content which is very soft jelly like content get dry and that sometimes comes out like a bulge and press the spinal nerve. It is commonly found in aging process or prolonged dehydration condition. Homeopathy treatment in this case is very helpful in the term of reducing the stress of the muscles and ligaments and thus helps to reduce the inflammation of the muscles if persist by over stress and also support the muscles and strengthen the muscles from becoming overstress. The pains are relieved within a short period of treatment by the specified homeopathic medicines. Besides to relieve the pain it also helps to give a long term curative effect by healing the damaging nerves caused by the muscles or ligaments or disc. The vertebras are hold by the muscles, if there is any undue pressure that causes the vertebra more pulled in or pulled out and eventually put effect on the intervertebral disc. The homeopathy medicines are acting to give strength to the muscles and heal up the injured nerve tissues and thus give a long term cure. Besides homeopathy treatment it is too advised to avoid those triggers that give more pressure to muscles or ligaments. The homeopathy medicines are selected to treat the ailment by the totality of symptoms of the patient. 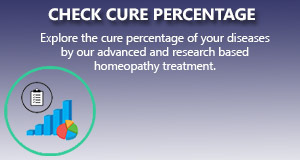 Like other medical science homeopathy does not have any specific medicine for any specific disease. The homeopathy medicines are selected as per the symptoms basis and that depends how the doctor is taking the case history more minutely and homeopathic way. Some patient tells that they have taken homeopathy treatment in past but have not experienced any result. Here I would like to say that homeopathy did not give result because of the medicines may not be most similar to the totality of symptoms of the patient or there is some pathological obstruction that preventing further curative process. So it is highly required to take the case history properly in homeopathic way and to repertories for finding out the most similimum for the case. Rananculus bulbous- The pain is felt over the neck portion and sometimes spread downwards and chest portion too. There is more pain during the morning hours and any sort of movement aggravates the pain. Moving the head also causes pain even a deep breathing increases the pain. The pain is associates with numbness feeling of arms. Like cimicifuga the pain is also originated after a long time of writing on laptop key board, I-pad, or mobile. Kalmia- It is one of the most important medicine for cervical spondylosis when the pain is associated with numbness of the part. Here the pain origin at the neck portion and spread down wards to arm and fingers. The pain comes in paroxysmal way not like dull persisting pain found in Rhus tox. There is another important symptoms found in kalmia of vertigo or dizziness while looking downwards. Colocynth- There is pain in the cervical or neck portion which is very much relieved by pressure or massage on that area. The characteristic symptom in colocynth to prescribe in cervical spondylosis is pain arise after some emotional disturbances like getting anger or being offended that impact in his sentiment or suppression of the anger. Those play a trigger factor to start neck pain.